Analysts said the ANC should use the ‘dignified lifeline’ from its alliance partners to ‘correct’ itself. The ANC has been handed a “dignified lifeline” by the SA African Communist Party (SACP) and trade union federation Cosatu in their call for President Jacob Zuma to step down following his Cabinet reshuffle last week. According to political analysts, it’s time to make right for the ruling party. However, Zuma is unlikely to go down without a fight. Cosatu is the latest organisation to call for Zuma’s head following Monday afternoon’s downgrade to “junk” status of South Africa’s sovereign credit rating by ratings agency Standard & Poor’s (S&P) Global. Zuma last week axed finance minister Pravin Gordhan and his deputy Mcebisi Jonas, resulting in widespread outcry, from civil society to opposition parties and members of the ruling party and its veterans. “This is pressure when members in the tripartite alliance call for this. They are supposed to be united. So this cannot be looked at as normal,” said political analyst Ralph Mathekga. “Here is an opportunity to correct the ANC – the SACP and Cosatu are throwing them a dignified lifeline. Mathekga said ousting Zuma could potentially lead to chaos – as IFP leader Mangosuthu Buthelezi stated on Monday – with a chance of violence ensuing. 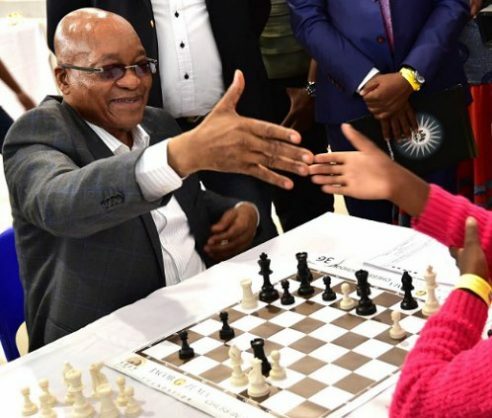 Therefore, quick solutions to ending the Zuma reign were not the answer, as people wanted, he added. Political analyst Andre Duvenhage pointed to the public groundswell against Zuma, the opposition’s motion of no confidence it seeks in parliament, the EFF’s legal bid with the Constitutional Court to impeach the president and the ANC’s integrity committee’s letter asking him to step down. “There is a tide against Zuma. This is the biggest and strongest mobilisation against him in his term as president. Duvenhage predicated a “huge battle” within the ANC and its structures for Zuma to step down.